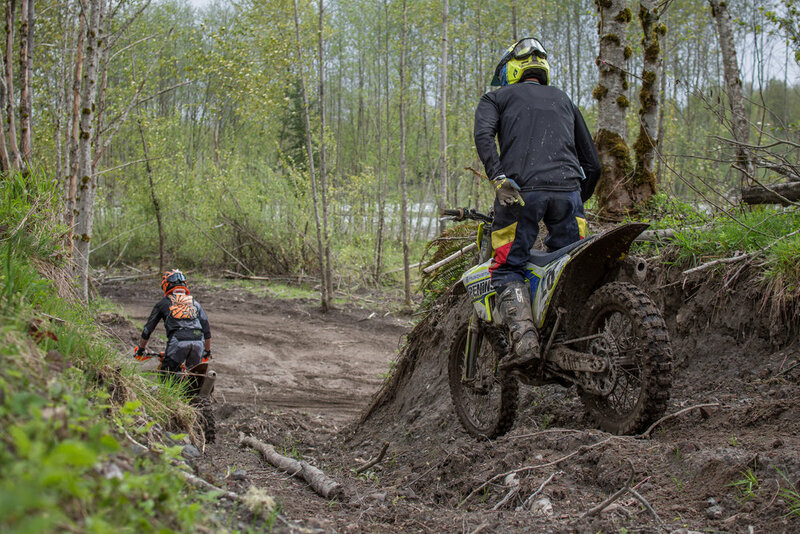 Skills training to help you improve your dual sport adventures. 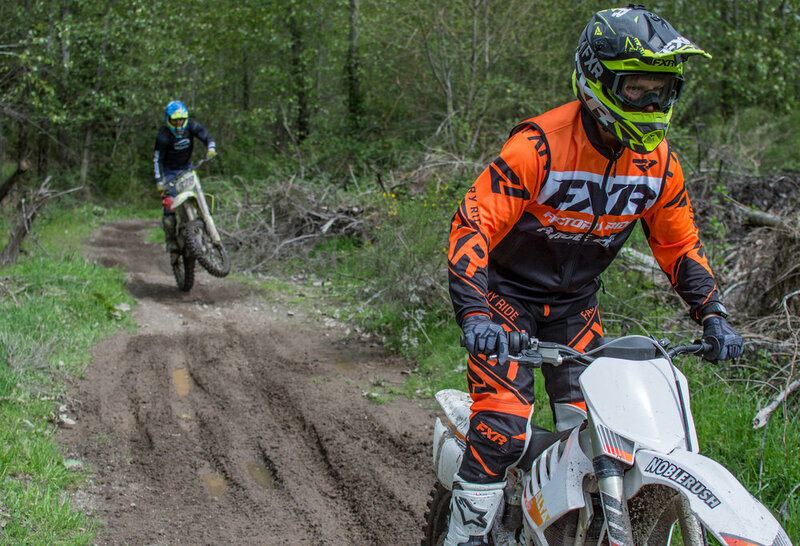 Last weekend, we had the honor of organizing a training school with international professional motocross racer and enduro coach, Daniel Sedlak. 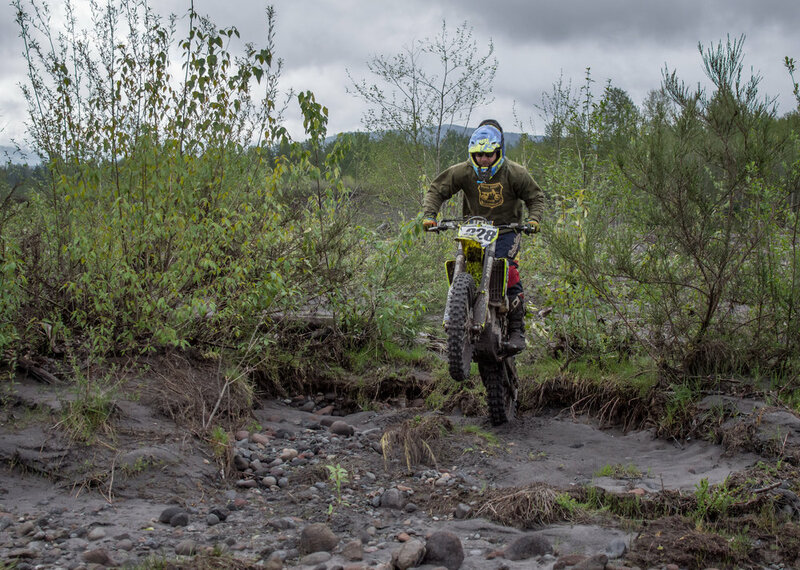 His course was tailored for dual sport riders who want to improve their riding, so they can ride more difficult terrain without the struggle. 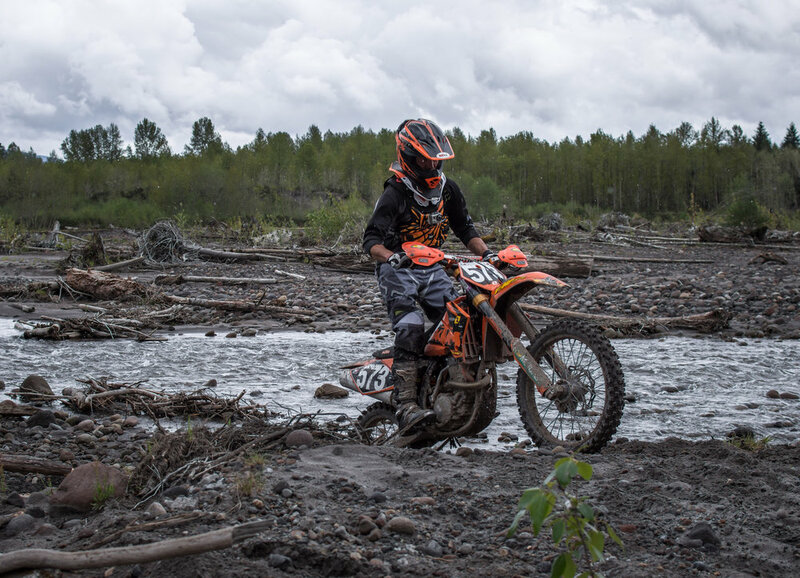 Special attention was given to each rider, so that all skill levels could participate and receive individual training for their needs. 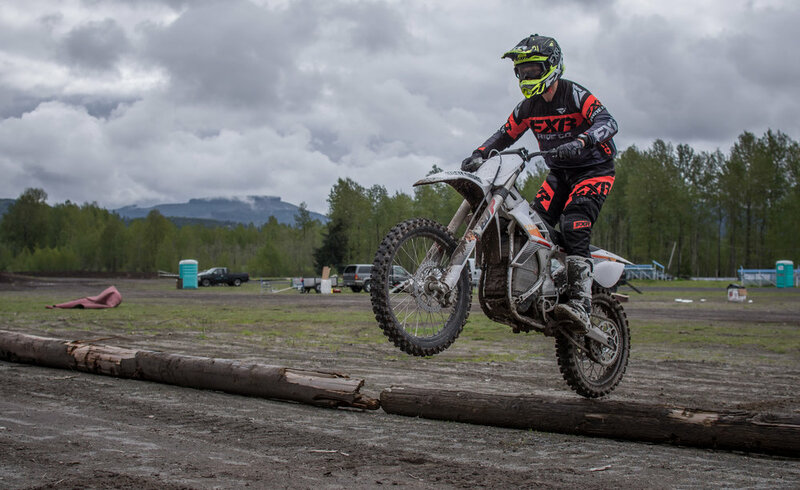 Daniel has been riding since he was just a kid, and since then has traveled the world racing in the big leagues. 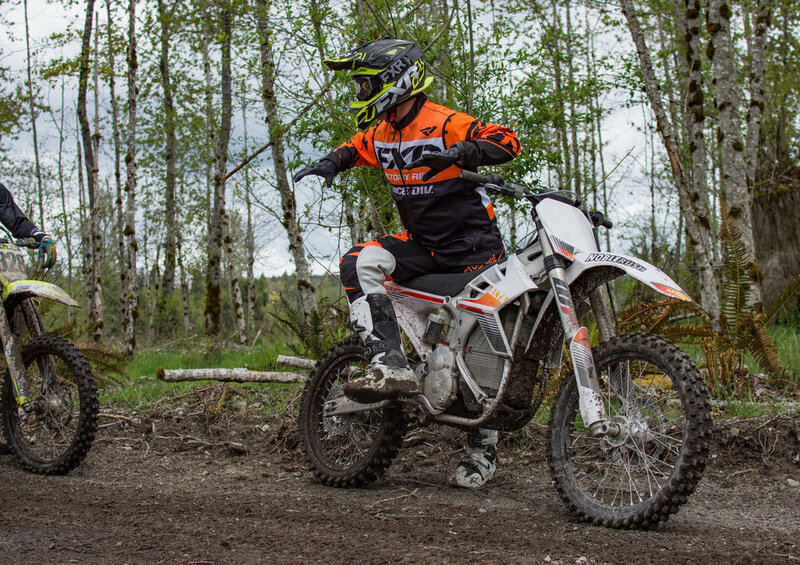 He has been a KTM and Gas Gas factory rider, raced in over 40 countries including European Supercross. 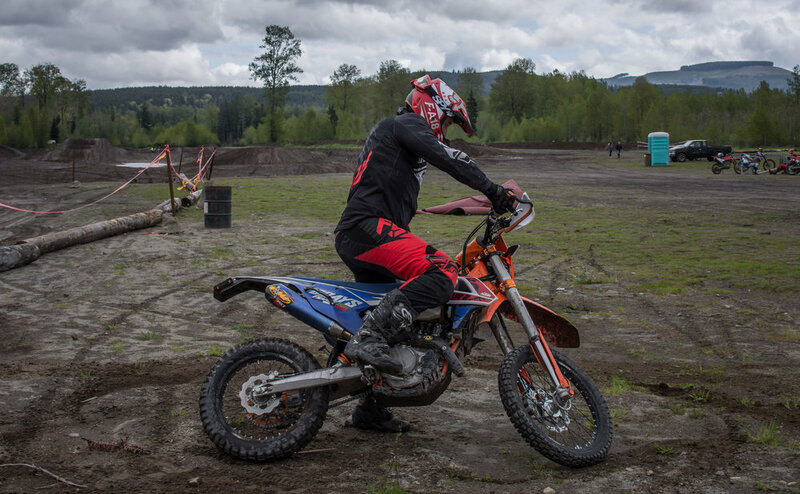 This all shows when he demonstrates his riding skill, and how he is able to translate his knowledge to the student. 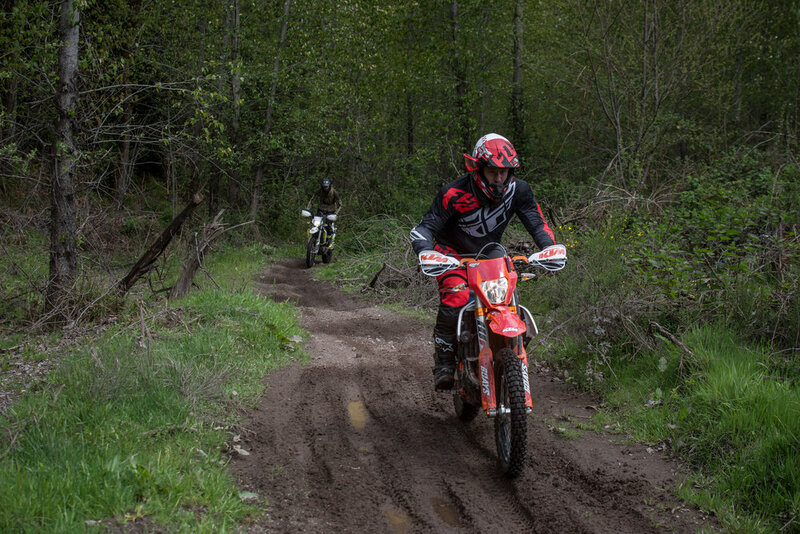 This class took place at Riverdale Raceway, in Toutle, WA. 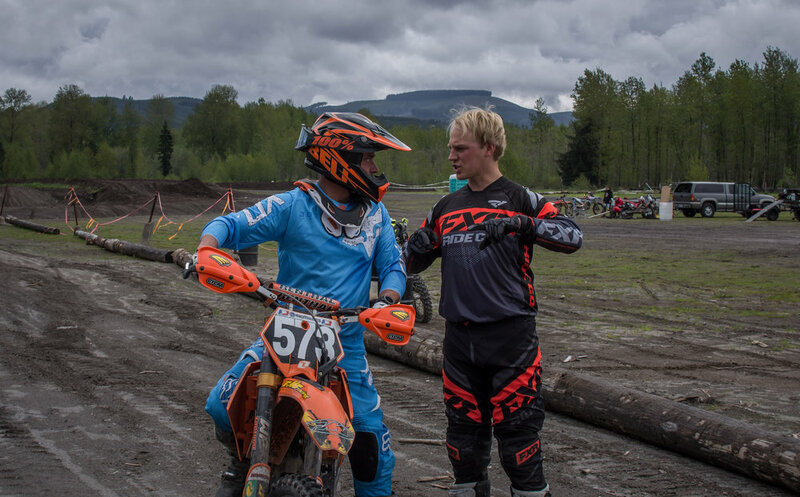 The beginning of Day 1, Daniel got to know each rider personally, before anyone even saddled up. Following, he helped them individually set up the ergonomics of each bike and showed them correct seat position. 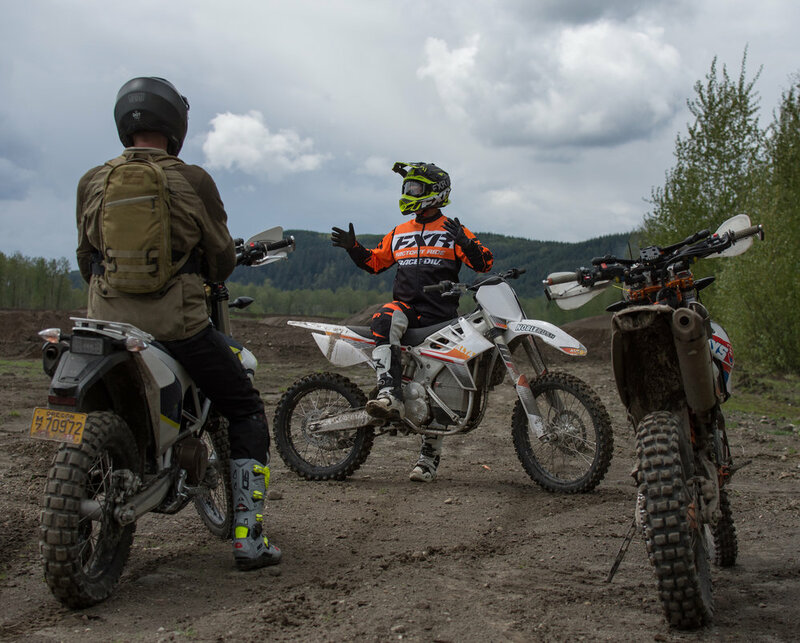 The next step was to take the riders out to the trail, and begin by showing them correct foot placement and line selection. 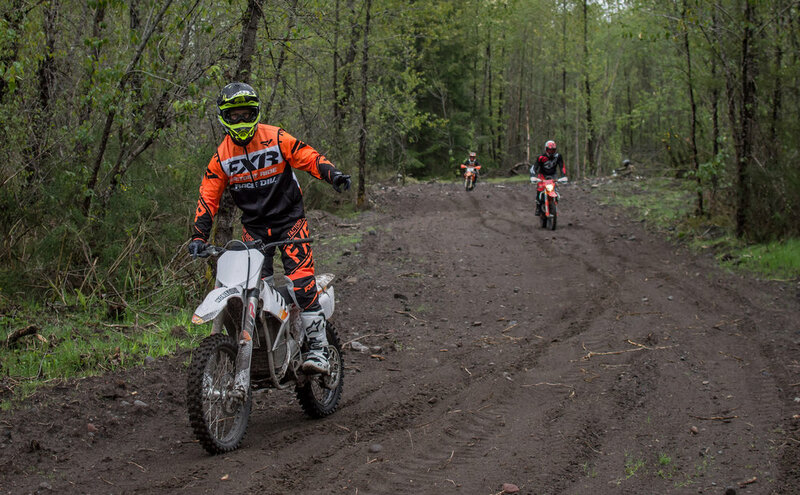 For the first couple of hours, he helped get everyone's riding position dialed in to lay a foundation for the rest of the course. After that the students worked on balance, getting a feel for the bike riding standing up, followed by working on controlling the bike with their legs. This was followed by a good session of single track riding to apply those skills. The next step was working on body position on inclines and declines, while also concentrating on proper braking. 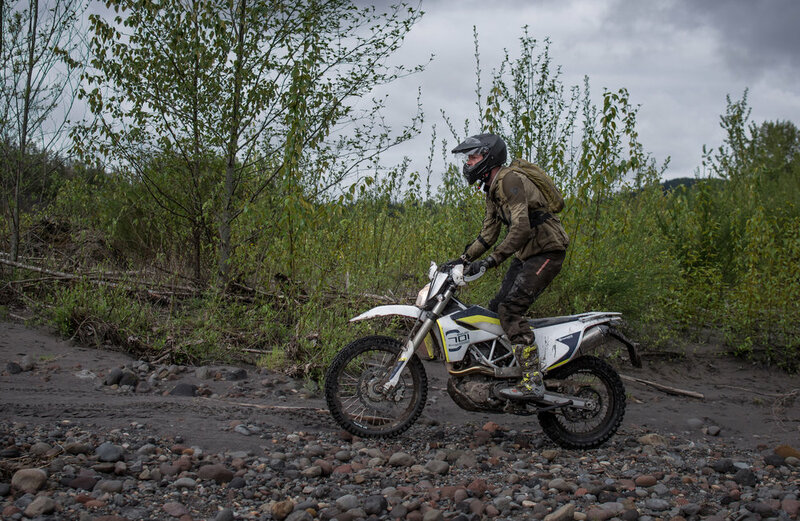 Day 1 was wrapped up by applying all of the training from the day by putting the students to the test through rocks, sand, small logs, and hills. Day 2 started with a warm up and a balance drill to get back into it. 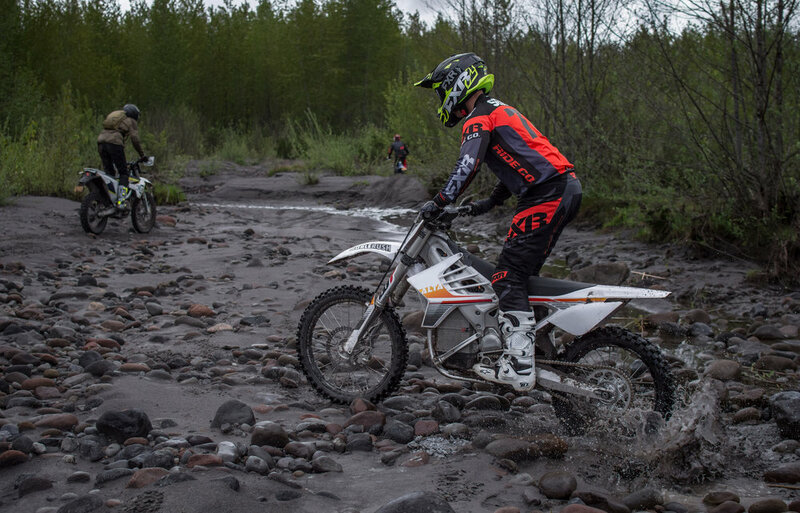 From there we headed back to the river bed for a bigger loop of riding deep sand and slippery rocks. 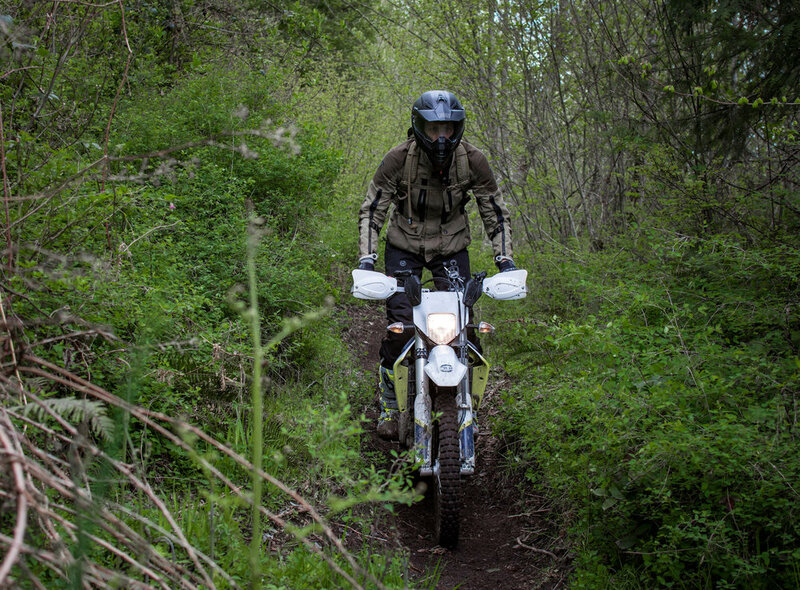 This day consisted of longer riding sessions and more seat time, in order to adapt the techniques learned in situations these riders will find themselves in while out on an adventure. 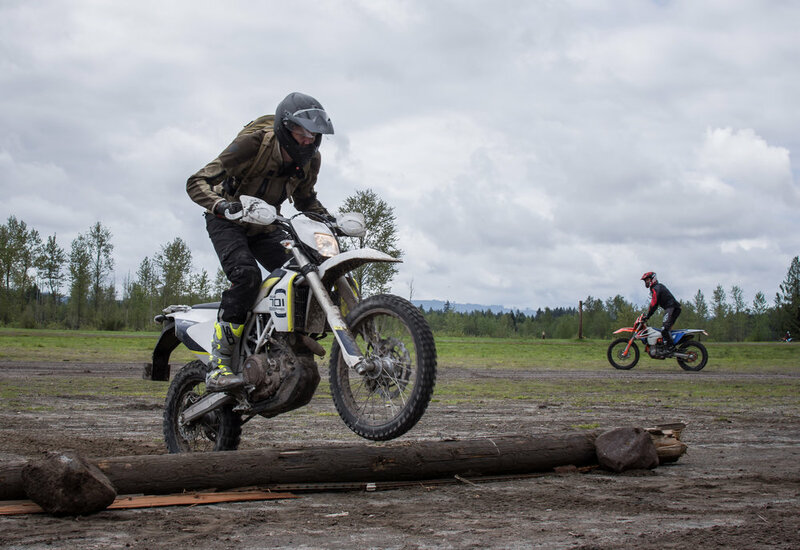 The riders were able to see how their new skills were being used, and show them how much they have already improved. 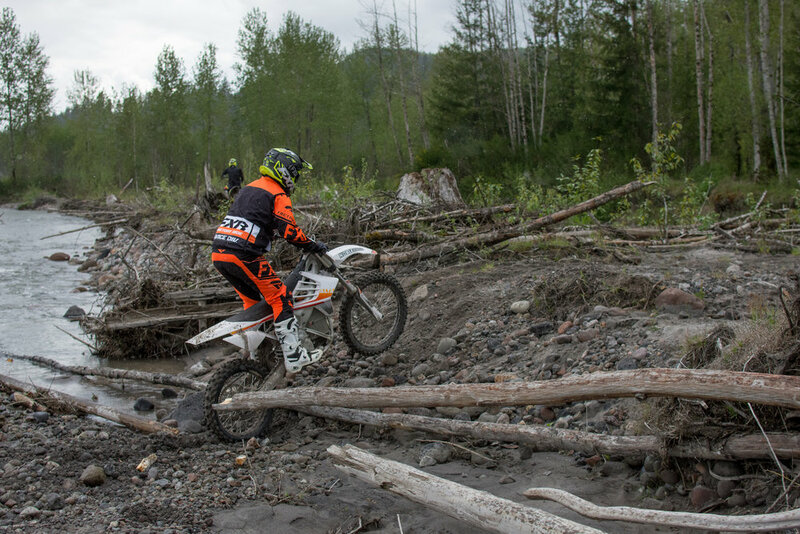 Following, Daniel did a couple bonus lessons, including hopping over larger logs and rotating your bike quickly. Big thanks to Daniel for being our coach for the weekend! He is an excellent guy, and an amazing rider. If you would like to participate in the next PNWDS Training event, make sure to subscribe to our newsletter at the bottom of our website to stay informed!